Night time is one of my favorite times of the day. Dinner is over, my teens are smelling fresh from showers, we begin to lower the lights and it is time for the family to wind down and relax before bed. This time is special to me. I love sitting on my couch and looking over at each of my family members as the laugh at something or as they engage in conversation. Everyone has a night time routine and everyone's routines look different. Special for their own little family. Even the farm animals have a night time routine. 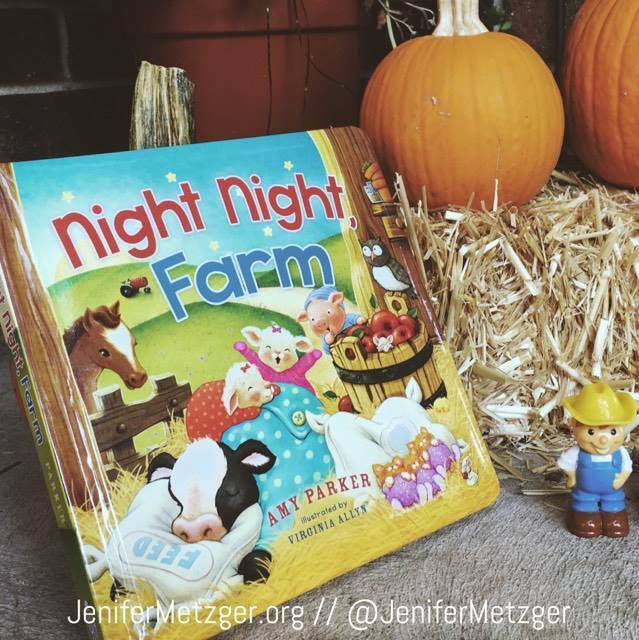 Author Amy Parker gives your little one a look into night time on the farm in her new children's book Night Night, Farm. Night Night, Farm shows sweet animals ready for bed and telling each other and God night-night. Help your little one sleep with this adorable book. To win a copy of Night Night, Farm, complete each task in the rafflecopter below.